Air Canada and WestJet “dropped the ball,” says the family of a 15-year-old girl who was stranded alone overnight at Calgary International Airport. Emma Fenton was flying solo from Kelowna, B.C., to visit family in Fort St. John, B.C., on March 23, but she got stuck late at night in the Calgary airport after an Air Canada flight delay, a route change and a complex ticketing error. “I felt very helpless, knowing she was there by herself at the airport,” said Emma’s stepmother, Christy Fenton, who had been awaiting Emma’s flight in Fort St. John. Emma spent the night on the airport floor as her parents attempted to reach Air Canada and WestJet. “I was just so tired and so ready to go home,” said the teen. WestJet apologized Wednesday. Air Canada says it’s not at fault and says WestJet should have been able to resolve the issue. The problems began that morning in Kelowna, where Emma’s initial flight was delayed by a combination of spring break travel volumes and the grounding of Boeing 737 Max 8 planes, said her family. 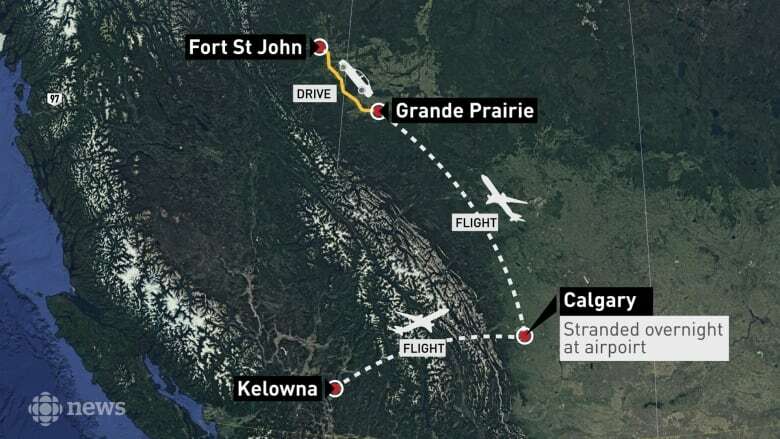 When it appeared Emma would miss her connecting flight, Air Canada offered to reroute her to Calgary, where she could catch a WestJet flight to Fort St John. But WestJet agents in Kelowna weren’t able to “complete” her new ticket or give her a boarding pass, the family said. She was told the matter would be resolved at the departure gate in Calgary. But once in Calgary, Emma said, WestJet staff directed her to leave the airport’s secure area and visit the WestJet ticket counter. But by then, the WestJet and Air Canada counters were not staffed, and the flight left without her. Emma has flown many times between her parents’ homes. But she said nothing quite prepared her for the runaround that left her stranded. Her stepmother said the airlines should have done more to help the young traveller. “They didn’t do the right thing. They left a 15-year-old without a confirmed flight and then sent her out through security when there was no one there to help her,” said Christy Fenton. The next morning, Emma was able to fly out of Calgary — but only as far as Grande Prairie, Alta., more than two hours from her destination of Fort St John. Air Canada said Emma should have had adequate time to sort out any problems with her ticket during her Calgary layover, and “can’t explain” WestJet’s actions or the agents’ direction to leave the secure area. The airline said three other passengers were able to make the connection. When CBC News first inquired about the incident, WestJet deferred questions about Emma’s trip to Air Canada, the original booking agent. The airline also said guests over age 12 who travel alone are subject to adult travel policies. But on Wednesday, the airline apologized. “Following a fulsome investigation by our teams, it appears that this guest experienced an unfortunate series of events,” said Morgan Bell, a media and public relations adviser for WestJet. “We will most certainly use this situation as a learning for our teams, as in no case, regardless of the carrier responsible, would we be comfortable with a 15-year-old being left alone overnight in an airport. WestJet said Air Canada should have properly issued the ticket for Fenton’s rerouted flight or made WestJet aware of any ticketing error earlier. 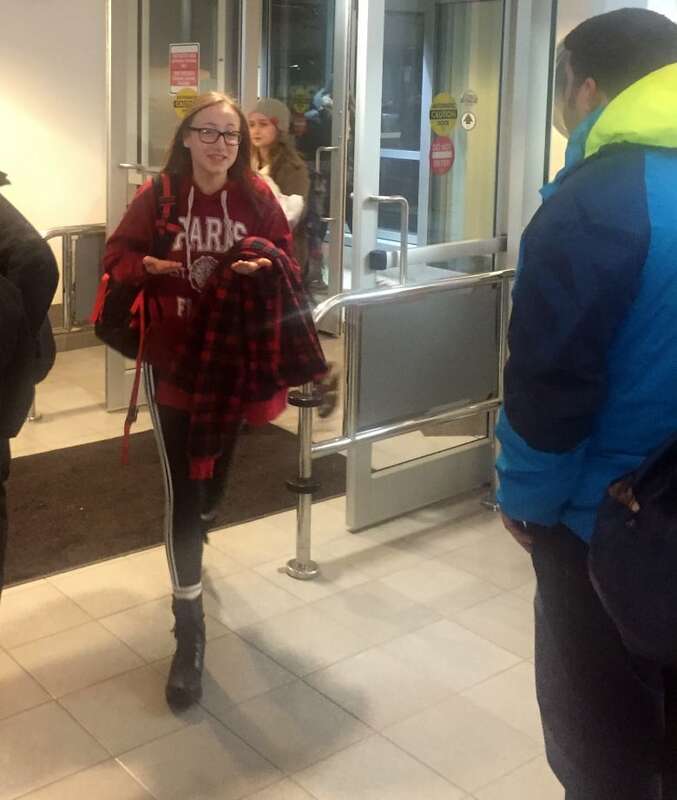 It’s not the first time a travelling teenager has been stranded alone at a major Canadian airport. In three separate incidents — in 2017, 2016, and 2013 — teenage travellers were stuck alone overnight at Pearson International Airport in Toronto.